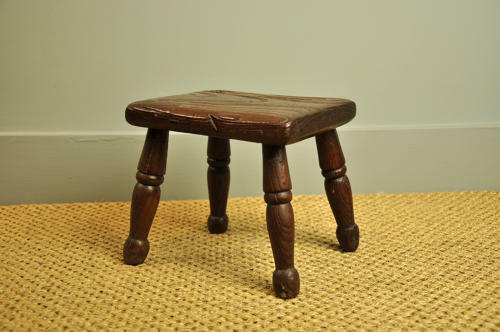 A charming 19th century child's or foot stool of small rectangular form crafted from elm and raised on four turned splayed legs. The elm of particularly open grain and distinctive figuring gives the stool an attractive, textural quality. Circa 1860.